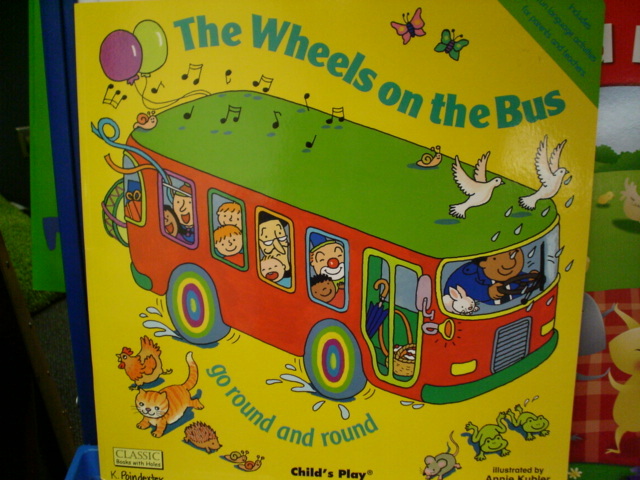 Today, we spent time singing along with the book. The first time through, we just sang the book. The second time, we made up actions to go along with each of the pages, and the third time, the children did the actions while I posted pictures on my flannel board that match each. I got them from this site (scroll down all the way to the bottom and you’ll see a spot for “Printables”). During Math today, I started using my Developing Number Concepts book #1 by Kathy Richardson (you can search for it at Amazon or for more info, search my site…I just love it for mini-lessons). We spent 20 minutes with our Math Work Stations then 10 more minutes on the “Slide and Check” activity from this book.